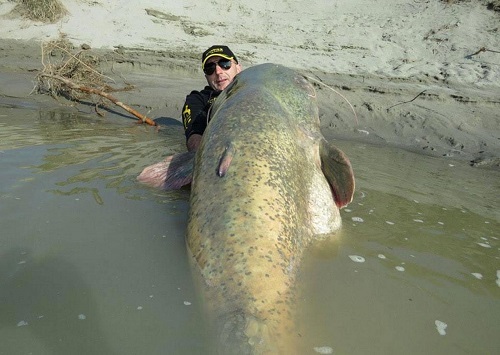 Italian angler Dino Ferrari caught a potential world record wels catfish in the Po Delta. The whiskered monster measured 8.7 feet from head to tail and weighed 280 pounds. Yea, you read that correctly… 280pounds. 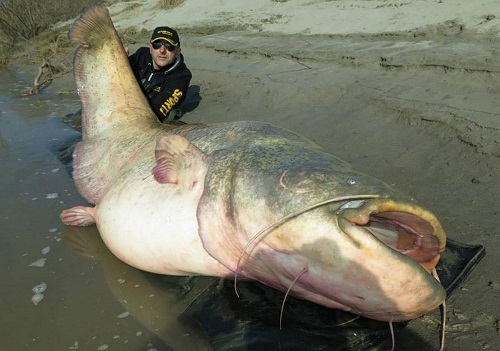 There have been larger wels catfish caught throughout history, but Ferrari may have actually set the world record for the largest catfish to be landed purely on a rod and reel according to the Daily Mirror. See another photo below.